Consuming Passions is a multi-part series of my column, Eating Niagara, that appears every second Wednesday in the local dailies. 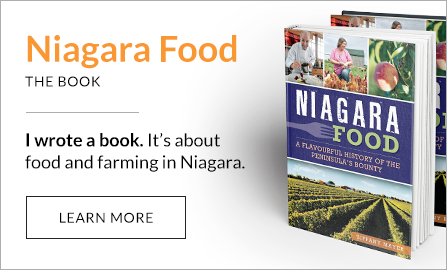 It’s about the passion projects of the people in Niagara’s food and beverage industries. This profile of Tamara Jensen and her work as an artist is Part Two in the series. Pablo Picasso was sitting in a Paris café when an admirer approached him. She asked the Spanish artist to draw something on a napkin, a task Picasso executed with ease. The famed painter handed the doctored serviette back to his fan, then asked for $10,000 for his quick sketch. The fan protested, arguing it took Picasso only 30 seconds to do. “No, it took me 40 years,” Picasso replied, taking into account his lifetime of experience that enabled him to draw something beautiful on command. It’s a story Tamara Jensen tells with ease, much like Picasso made drawing on a napkin appear. And it’s one that resonated with the former food trucker when she picked up a paint brush in 2016. It was the first time in eight years that Jensen painted. She’d set down her palette indefinitely, after first using one at three years old, and relegated half-finished canvases to closets while she and her husband, chef Adam Hynam-Smith, launched Ontario’s first gourmet food truck in Niagara. During that time, Jensen, a former evaluation officer with Correctional Service Canada, slung Thai food and fish tacos alongside Hynam-Smith. Together as El Gastronomo Vagabundo, they paved the way for a culinary sea change that saw street food elevated from no-frills hot dogs and fries to epicurean pleasure. But it was always there in those stalled canvases she tucked away until she could find her muse again and finish them. Among them was a half-finished Pinocchio she started in 2006 and lugged on several moves before landing in St. Catharines. Jensen grew weary of staring at Pinocchio’s incomplete schnoz. So one sunny day, she pulled the six-foot canvas out of storage, sat outside and finished it. Proud of her accomplishment — or just relieved — she posted a photo to Instagram. Someone offered to buy it soon after. Cardinal by Tamara Jensen. Image supplied by Tamara Jensen. “That gave me confidence again,” recalled Jensen who minored in fine art in university. In 2016, with El Gastro ingrained in the collective local palate, and Hynam-Smith looking to change gears with a bricks-and-mortar restaurant, Jensen put herself and her art out there even more. 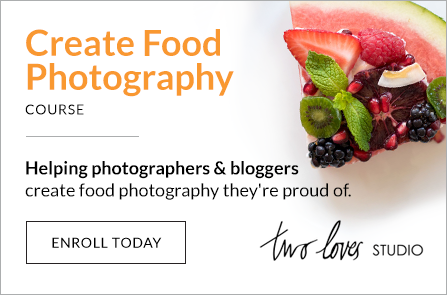 She began taking commissions for abstract works that she’d paint in the early morning before her new gig managing food and wine social media accounts as a digital strategist at Form & Affect. Watch a time-lapse video of Tamara Jensen painting. Then she signed up for the Niagara Artists Centre’s annual Small Feats, which sees local artists paint square-foot canvases to sell for $100 each. 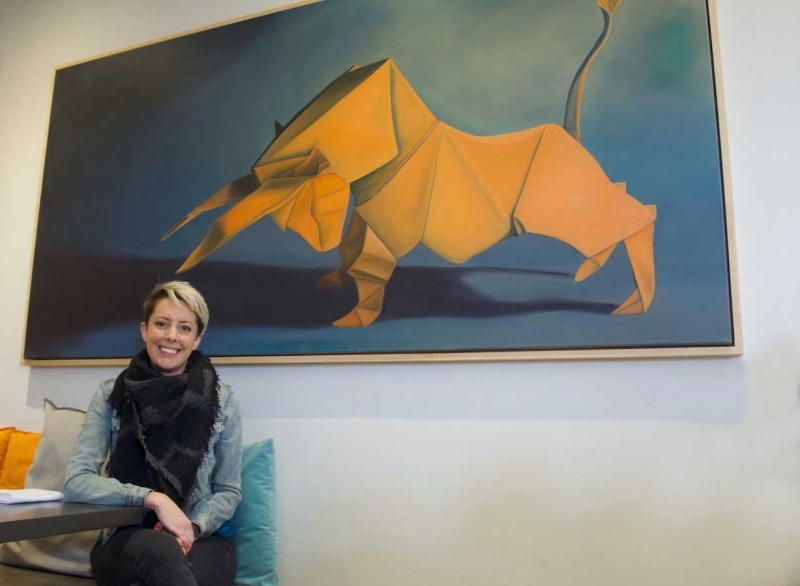 Jensen’s contributions were paintings of an origami fox, rat and elephant inspired by origami artists Eric Joisel and Sipho Mabona. They deviated from her usual large abstract works featuring big colour and movement. She figured origami figures would look good compositionally on a small canvass and still have enough detail to be interesting to the viewer. Tamara Jensen's Truffle Shuffle. Supplied by Tamara Jensen. The trio sold quickly and jump-started the creation of Jensen’s magnum opus thus far in her career as an artist: her Big in Japan series. It was born from the pressure of a deadline set in February 2017 when Jensen was asked to be the artist in residence at Bolete restaurant in downtown St. Catharines. She had until the end of March to provide a body of work for the dining room’s vast wall space. Big in Japan is a collection of large canvases featuring origami animals, including a 30-square-foot pig she called Truffle Shuffle and the similarly-sized Golden Bull. They’re painted from photographs of origami art. The name references the scale of the pieces in the collection. Some of them have taken Jensen 80 hours to complete — or 36 years, factoring in Picasso’s perspective. “I like making something that in reality weighs three grams and have it look like it’s actually an animal,” she said. Big in Japan is also a nod to the subject matter, and the Japanese heritage of Bolete’s chef-owner, Andrew McLeod. Tamara Jensen's Golden Bear. Photo supplied by Tamara Jensen. The series has done great things for the artist. Jensen has sold four paintings so far, ranging in price from $750 to $4,000, and the commissions keep coming. Big in Japan has been big for Bolete, too. Really, though, Big in Japan seems to bespeak the humility of Jensen, who’s always a bit surprised when someone wants to buy her work.